Alternative metals are being spotted more and more in weddings across the country. 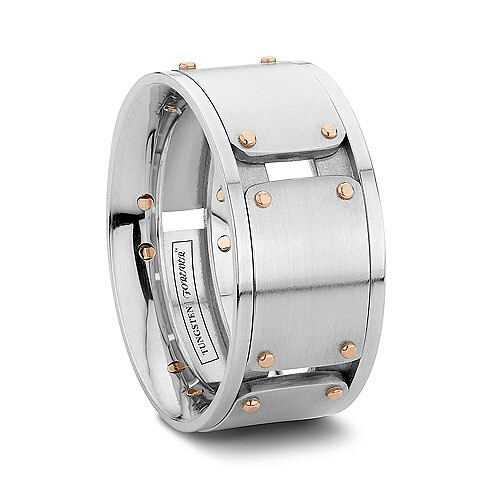 Initially considered only as fashion rings or costume jewelry, these metals like tungsten carbide, cobalt chrome, cobalt rings and titanium are becoming increasingly popular as wedding bands and wedding rings. 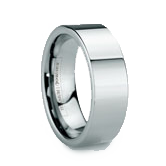 Rings like tungsten carbide wedding bands found on Tungsten World provide the wearer with a quality ring in a variety of styles and finishes, at a reasonable price, and with the added benefit of the durability that keeps the ring looking like new for as long as it remains on the wearer's finger. 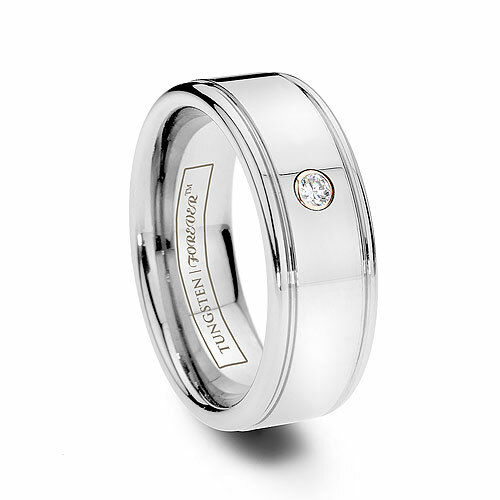 In kind, tungsten rings have surged to the top of the list of alternative metal rings being purchased as both wedding bands and fashion rings. Being one of the most popular alternative metals or nontraditional rings, tungsten carbide is sought after due to its strength and extreme durability. With a surface and finish that is almost impossible to blemish or scratch, it has come to symbolize the sanctity and purity of the many marriages it represents. Recently, a new metal has joined the alternative metals in vying for wedding fingers of the many soon-to-be-weds: cobalt jewelry. 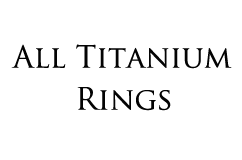 And while cobalt wedding bands or cobalt chrome rings are very similar to their alternative metal brothers, and more specifically tungsten carbide rings, many people are wondering the differences between cobalt rings vs. tungsten rings. When speaking about alternative metals, the first thing people want to know is the scratch resistance of the metal in question. 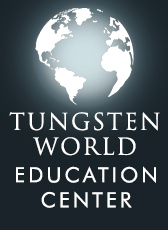 So, in consideration to cobalt vs. tungsten, the two metals are very similar in their hardness. While cobalt is harder than titanium, and therefore more scratch resistant, tungsten is still the hardest metal currently on the market. In simple terms, although cobalt and tungsten are both extremely hard metals, a tungsten ring will have a higher resistance to scratching. Another key difference in tungsten vs. cobalt is the weight of the metals. 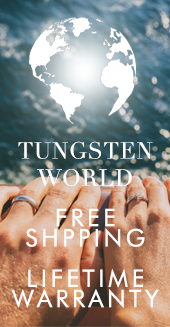 Tungsten rings have become known for their inherent weight, especially when compared to the feather-light weight of titanium. 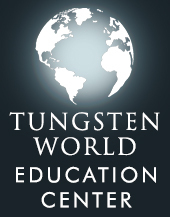 Again, tungsten and cobalt are quite similar in this regard. 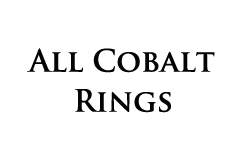 But with both types of rings in hand, there is a noticeable difference in weight, with tungsten rings being heavier than cobalt rings. In regards to the color of tungsten rings vs. cobalt rings, consumers will notice cobalt is lighter than the dark gunmetal look of tungsten. For those looking for a ring more akin to white gold, cobalt rings can be likened to this lighter metal, whereas tungsten has more of a masculine and darker hue. 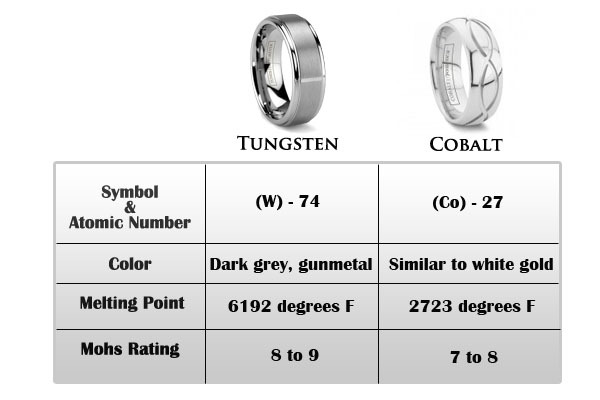 A final difference to note in the cobalt vs. tungsten rings discussion again focuses on the hardness of the materials. 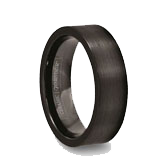 Tungsten carbide rings, being the harder of the two materials, do have considerably less malleability than cobalt rings. Being a softer metal, cobalt rings can be completed in more intricate styles like tension-set diamond bands and are shatterproof. 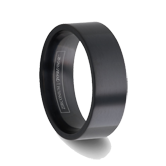 The hardness of tungsten carbide does not allow for these styles, but will keep the ring scratch-free.